Vogue Fabrics carries premium quality cotton muslin fabric available by the bolt at a wholesale price. We carry a full line of bleached and unbleached, in 36", 38", 45", 48", 60", 90", 108" and 120" wide. For garment industry, theaters, day spa waxing, home decor, and special events. Muslin’s weave is a flat non-directional plain weave. The colors are either a bleached white or unbleached natural/beige. Muslin is sometimes referred to as a sheeting because of its approximately weight 4.5 oz. per square yard. Wholesale muslin fabric has many uses; backdrops for staging, draping, creating patterns for costumes and apparel, backing for quilts, batiking, lining and so much more. Colleges are welcome to use our Purchase Order payment option upon approval. Buy muslin by the bolt below! Wholesale Muslin Fabric- #406 36" Bleached Premium Cotton Muslin, 50 yds. Wholesale Muslin Fabric- #410 38" Unbleached Utility Muslin, 50 yds. Wholesale Muslin Fabric- #405 36" UnBleached-Perma Press Cotton Muslin, 50 yds. Wholesale Fabric - 45" Ecology Cloth Muslin, 40 yds. Wholesale Muslin Fabric- #403 45" Unbleached Perma Press Muslin, 50 yds. Wholesale Muslin Fabric - #404 45" Bleached Premium Perma Press Cotton Muslin, 50 yds. 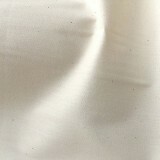 Wholesale Muslin Fabric - 60" Bleached Premier Cotton Muslin, 25 yds. Wholesale Muslin Fabric- 60" Unbleached Premier Cotton Muslin, 25 yds. Wholesale Muslin Fabric - #5126 90" Bleached Cotton Muslin, 15 yds. Wholesale Muslin Fabric - #5128 108" Bleached Muslin - 15 yds. Wholesale Muslin Fabric - #5114 120" Unbleached Perma Press Muslin, 15 yds. Wholesale Muslin Fabric- #5115 120" Bleached Muslin, 15 yds.